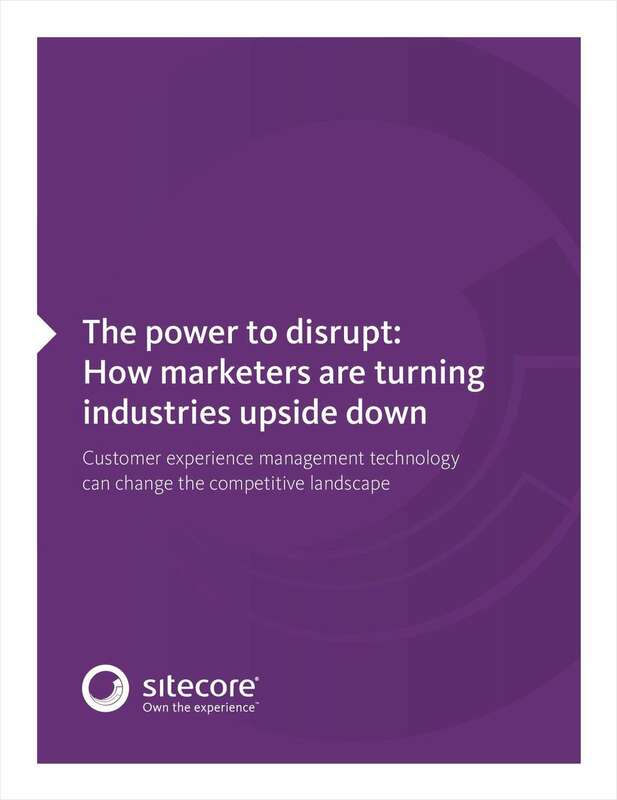 "The Power to Disrupt: How Marketers are Turning Industries Upside Down"
Free White Paper: "The Power to Disrupt: How Marketers are Turning Industries Upside Down"
“Disruption” is the darling of the high tech lexicon, and with good reason. Disruptive technology has the power to change the way people do things, and forever alter a competitive landscape. By submitting this content request, I have legitimate interest in the content and agree that Sitecore, their partners, and the creators of any other content I have selected may contact me regarding news, products, and services that may be of interest to me.